If you’re a beginner, or if you’re a teacher, or if you just love Kundalini yoga this is the show for you. 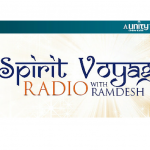 Join Ramdesh and two special guests: Simranpreet from Spirit Voyage and Sat Siri, a Kundalini Yoga teacher trainer, one of the teachers along with Ramdesh who will be featured in Spirit Voyage’s exciting new e-course. Simranpreet says the team has been working on this course for a year. They wanted to bring this vast knowledge and body of wisdom from a number of master teachers to people everywhere. 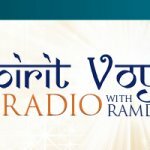 There are 23 teachers; among them Kia Miller, Tommy Rosen, Krishna Kaur, Sat Siri, Akasha, Sukhdev and Akahdahmah, Tej Kaur, Anne Novak, Nirvair Singh and many other amazing teachers, many of whom have been guests on Ramdesh’s show. The structure of the course is a 40-day e-course; every Sunday there will be a live webinar. There will also be a series of videos to watch, including lectures, kriyas, meditations, pranayama, and various ways to dive into the teachings. There will also be handouts offered that go along with the videos that are shared. “We’re giving this information to you in ways that are very easy to understand and will really take you deep into this practice,” says Simranpreet. You will master quite a bit of the basics and beyond. “This is really juicy!” notes Ramdesh. Sat Siri is serving as the “host” of the course, really helping people “to practice the technology and try everything out so they can have their direct experience of it.” She is super excited to be assisting to answer questions that will help students at all levels. There will be a discussion forum where students can ask questions and have an opportunity to connect with yogis around the world, notes Simranpreet. You’ll have the support of a global community! “It’s so exciting on so many levels,” says Ramdesh. 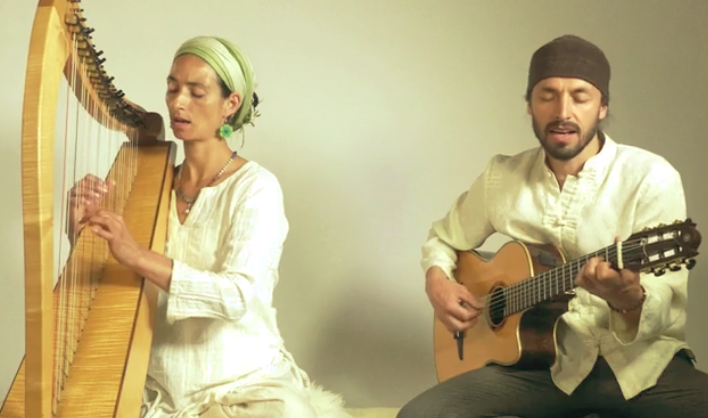 How did these two teachers find Kundalini yoga? Simranpreet was getting ready to go for a yoga retreat in Peru when she came across a video by Anne Novak and she began practicing without knowing anything about Kundalini yoga. Once she arrived in Peru, she was surprised to find a Kundalini yoga teacher who just happened to stop in. It seemed like a sign, so she signed up for the teacher training as soon as she got back. Sat Siri found Kundalini yoga when she was a ballerina with the Australian Ballet. She was always trying different types of yoga to keep herself “sane in the insane perfectionism of the dance world.” By chance she found Gurmukh’s book and Nirvair Singh’s DVD and started practicing on her own. She noticed a change immediately; she felt in a connected state, and she sensed the first feelings of neutrality and shuniya. She took the teacher training in New Mexico soon after, then deciding to open the first Kundalini yoga studio in Australia. The course will offer so many tools that can be used in daily life, techniques to change your state of being, and learn to be calm and centered: “There will be multiple tips to empower yourself to start making changes!” Simranpreet says. And, there are ripple effects that are sure to be felt. It’s such a transformative practice that over this entire course the vibration of the planet will be raised. That’s the “larger vision” of the project. Sat Siri will be teaching the Kriya for the Ten Bodies along with a meditation. 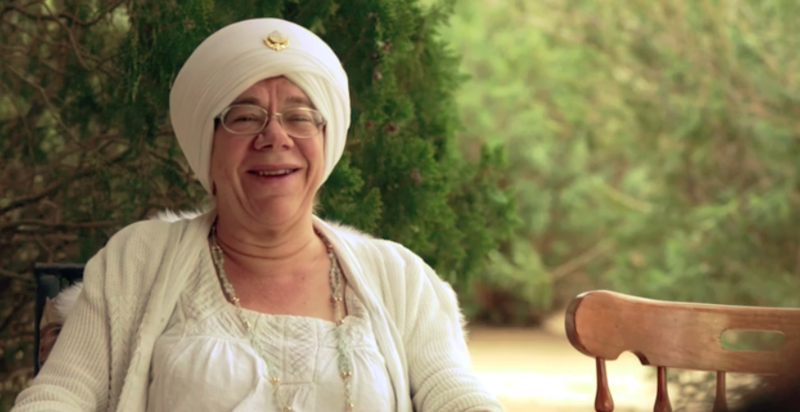 This is a great way to dive into the more subtle aspects of Kundalini yoga, she explains. The ten bodies are energetic bodies that help us feel more at home in our skin in a very subtle way, Sat Siri points out. 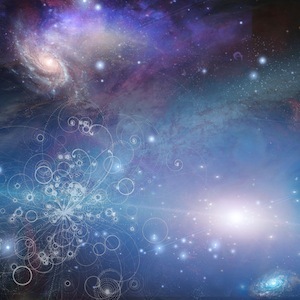 A benefit of working on the ten bodies is strengthening the aura, or the magnetic field that surrounds each of us. Clearing and strengthening the aura is vital to the practice and to living a happy life. Strengthening the bodies, especially the aura and radiant body, helps us to help others –we strengthen ourselves so that we can be of service. 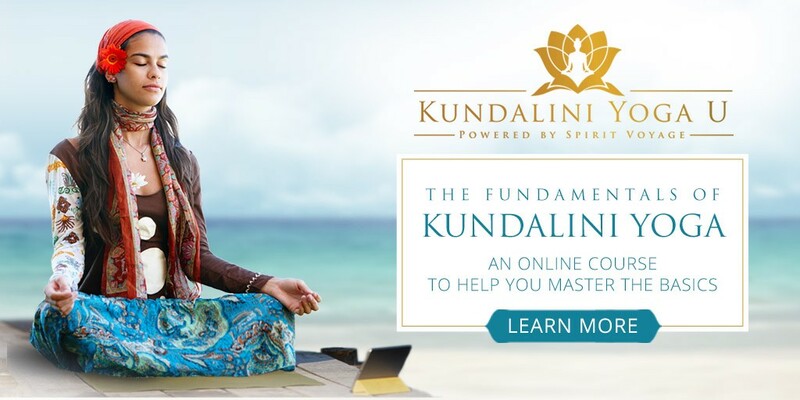 What is the most important fundamental of Kundalini yoga? For Simranpreet it all comes down to empowering yourself. You have everything that you need within you in order to move forward in your life, she points out. Pranayama (breathing techniques) is the quickest way to change your state of being, she adds. Ramdesh will be teaching pranayama in the e-course, and we can all look forward to the wisdom she will share! For Sat Siri the key fundamental is that the yoga changes as her life changes, so it’s “The practice, whatever it is.” It could be mantra, pranayama, asana, or just living life with awareness. The practice is cumulative, she notes. Sat Siri suggests that students stay with it and have compassion and patience for yourself–that is the real experience of a daily practice. The practice has given her trust in herself and true self-esteem. Says Sat Siri, don’t wait for the perfect practice to come to you, just start! You’ll also learn about alignment and the bandhas, mantra, yogic diet, addictions, (with Tommy Rosen who also teaches the Basic Spinal Energy Series) and so many other aspects of Kundalini yoga. You’ll be challenged, inspired, informed, and guided every step of the way as you participate in this international, group experience. 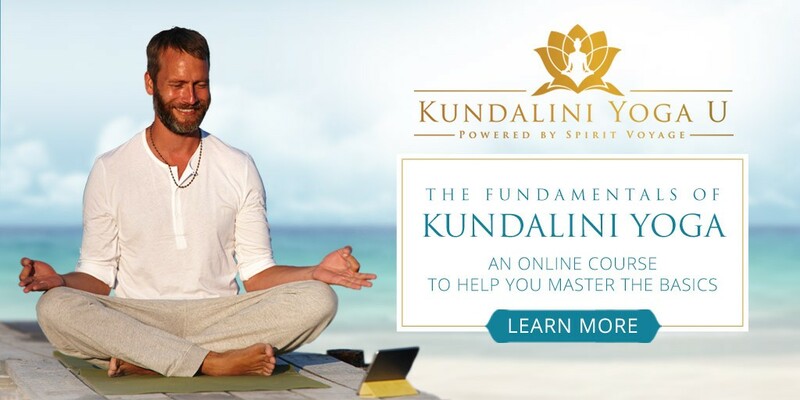 This is a unique opportunity to study with 23 world-class master Kundalini yoga teachers! 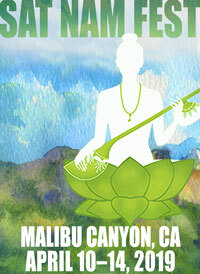 Check out the website: kundaliniyogau.com and be sure to sign up soon!